Habersham Mills currently offers 6 rental properties. This space is located over what was originally the Habersham Mills Post Office and general store. All of the wood has been reclaimed and found onsite. At night with your windows open you can hear the hum of the Soque as well as enjoy the bright stars. This space is located behind what used to be the Post Office and Store of the Old Mill. It has been renovated with numerous materials including steel, reclaimed wood, and cast concrete. The floors are original. The screened porch and large sliding window are unique features of the space. This space is where the old mill workers used to shower and get haircuts. You wouldn't be able to tell by walking into it today. The floor to ceiling rough-cut pine gives off the most amazing scent. It is a very private and cozy unit. 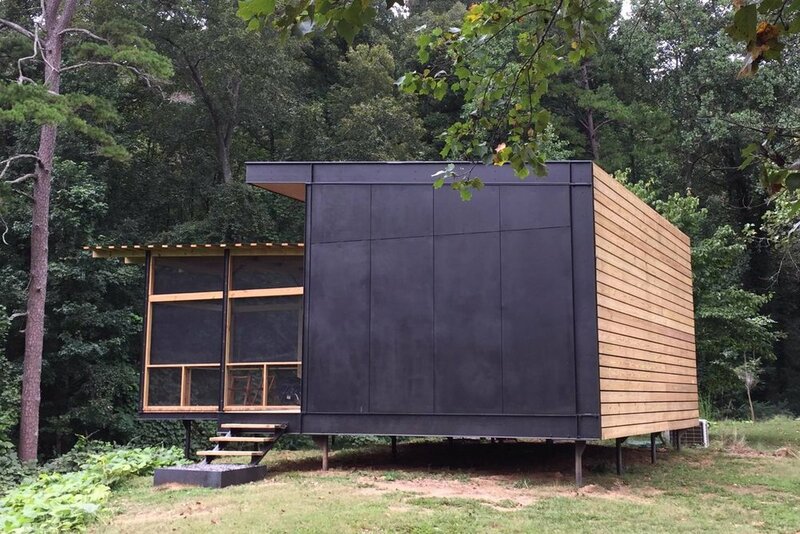 Cabin #1 is the first free-standing lodging space at the Mill. 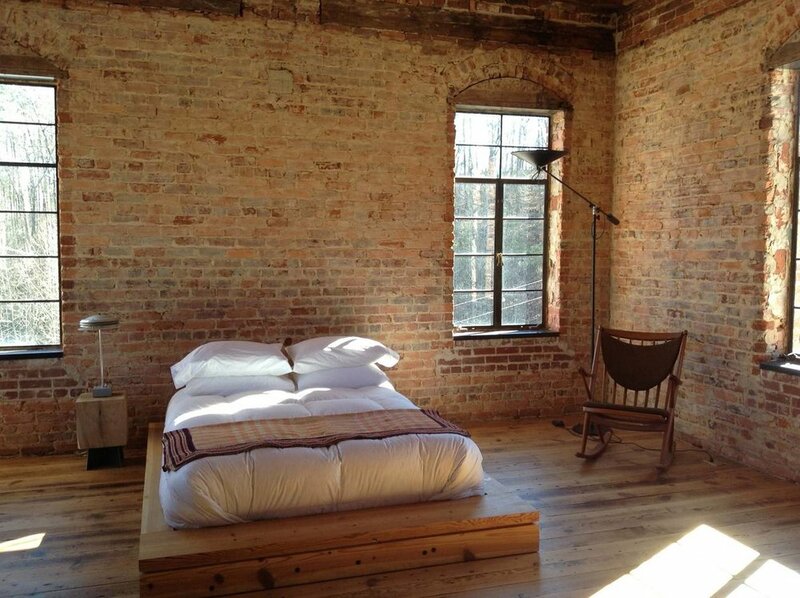 This very private studio cabin overlooking a beautiful meadow is secluded and cozy. Located on the lower level of the original free-standing office building which now houses three living units. Sunny space has a full-sized frig in kitchen, bedroom separated by free-standing wall. Sleeper sofa available for more than 2 guests. 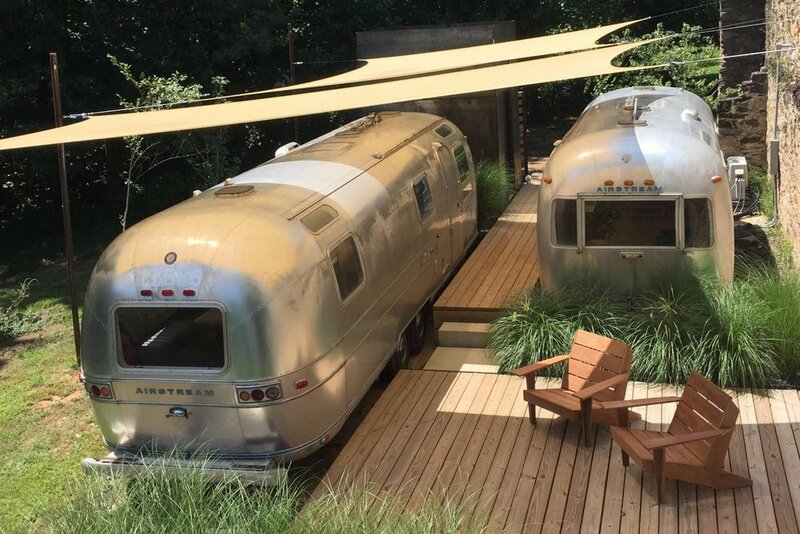 This unique unit consists of two vintage Airstream trailers plus a separate bathroom. One serves as a living space while the other serves as the sleeping space. Habersham Mills is a private property. In order to respect our guests’ privacy, we ask that you make an appointment to visit the grounds through the contact below. I-85 North to I-985N/Lanier Pkwy. Left turn at Mt. Airy Hwy / Demorest Rd. stop light. Drive 1.3 miles and make a left turn onto Habersham Mills Road. Travel 2.1 miles and make a left turn into Habersham Mills Complex Dr.
SOLD OUT - October 5th & 6th : Hands-On pottery workshop by Melissa Weiss: See below or click here. Habersham Mills Fly Fishing School - For more information: Fly Fishing School at Habersham Mill! Thank you to everyone who has signed up. Be on the look out for next year’s workshop! Morning snacks, beverages, and lunch are provided each day. To reserve a space please send a check made out to Habersham Mills Partners - mail to: Barb Williams - 346 Pine Tree Drive NE- Atlanta GA 30305 or use Paypal by adding to cart and following the checkout instructions. In this weekend intensive workshop we will use simple hand building techniques such as making slab dishes from bisque molds, carving from solid blocks of clay (kurinuki) and coil construction. We will talk about surface decoration and form to create contemporary pots with a primitive, rustic look. Please bring a 25lb bag of clay - with some grit - suitable for hand building. Carving tools will be available. However, if you’d prefer your own, the most necessary ones are: Kemper Pro PT325, PT345, PT420, PTS80 dolan DPTf220c or 220s. Please also bring assorted plastic and metal ribs, a sure form, a needle tool, and a fettling tool. A branding wheel would also be useful, however, it is not necessary. Melissa Weiss is originally from New York. She received her BFA in photography in 2000 from the School of Visual Arts in Manhattan. Melissa currently resides in Asheville, NC where she runs a studio housing over 20 artists in an 8,000 SF warehouse called SouthSideStudios near the Swannanoa River. She is a full time studio potter and mom. Melissa makes functional high fired pots from clay that she digs on her land in the Ozark Mountains of Arkansas. Melissa is a self-taught potter, yet has learned from many potters in the Asheville area. Melissa has attended John C. Campbell, Penland and Arrowmont as a studio assistant, a work study and a teacher for wood fire workshops. Melissa has spent the last 12 years learning how to fire wood and gas fueled kilns with local potters. Melissa makes all her own clay, glazes and slips and fires the min gas and wood fired reduction kilns to cone 10.